Japan's Nikkei 225 briefly surged past the 20,000 point barrier on Friday, setting a new 15-year high in the process. 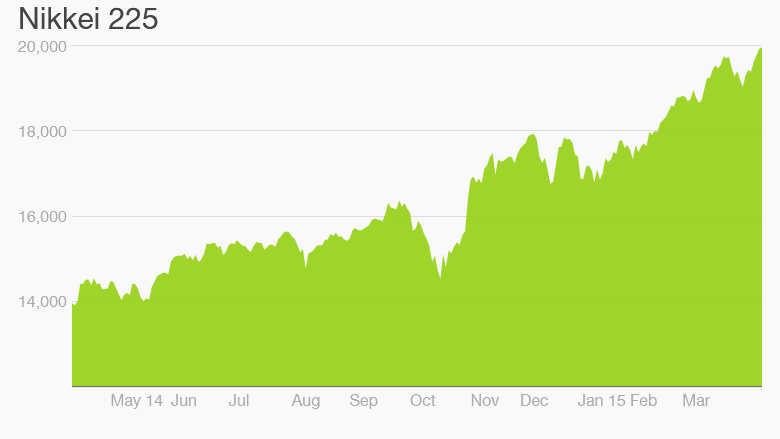 The benchmark index is up 14% this year, building on an incredible 125% boom since mid-2012. It's easy to find reasons for the index's performance: The central bank is pumping money into the economy at a torrid pace, and Prime Minister Shinzo Abe has pledged to reform the way Japan Inc. does business. But a closer look at the Nikkei reveals that one company in particular has played a starring role in its dramatic rise. That company is Fast Retailing, best known as the corporate parent of clothing brands Uniqlo and Theory. The retailer is by far the largest Nikkei component, accounting for 9.7% of the index average. The Nikkei, like the Dow Jones Industrial Average, is price-weighted, meaning that a company's share price determines its proportion of the overall index. The higher the share price, the more influence a stock has over the Nikkei. Most other indices are based on market capitalization, or the total value of a company's outstanding shares. The emphasis on share price is what makes Fast Retailing so important. Shares have increased by a whopping 225% since mid-2012, giving the company roughly twice the influence of robotics firm Fanuc, the index's second-largest component. Traditional Japanese heavyweights have also been left in the dust. Toyota, with a market cap more than five times larger than Fast Retailing, is trading near 8,320 yen ($69), giving it a 1.7% weight on the Nikkei. 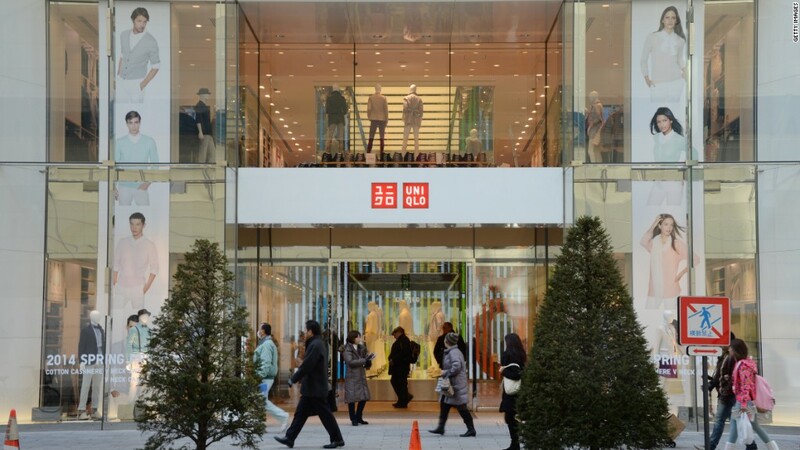 Fast Retailing's share price is 49,700 yen ($412). This divergence results in all sorts of oddities. On Thursday, for example, Fast Retailing raised its annual profit forecast by more than 10%. Sure enough, the Nikkei reacted Friday by breaking through 20,000 points. But equally good news at Toyota or Softbank -- larger companies by market cap, with higher revenues -- would have generated a smaller point increase for the index. So next time the Nikkei climbs or dives, consider the source. Related: Japanese stocks are on fire. But why?